Staff Notes: Cut is not slated, as this is a prepared / edited Reel. I assigned the “Ideal Tape #” as “PC-ILP-169-B”, strictly for cataloguing purposes, by combining the prefix “PC-” (for Protection Copy, as is written on the actual Tape Box) to the Release # “ILP-169-B”, which is also reflected in the handwritten Release # on the Tape Box (back and spine). Additionally, for assigning an Ideal Release # for this cut, I combined the aforementioned Tape # (PC-ILP-169-B) with the number “3”, as this is track 3 from Side B. Handwritten date on the back of the Tape Box say “11-11-68”. Cut is not slated, as this is a prepared / edited Reel. I assigned the “Ideal Tape #” as “PC-ILP-169-B”, strictly for cataloguing purposes, by combining the prefix “PC-” (for Protection Copy, as is written on the actual Tape Box) to the Release # “ILP-169-B”, which is also reflected in the handwritten Release # on the Tape Box (back and spine). 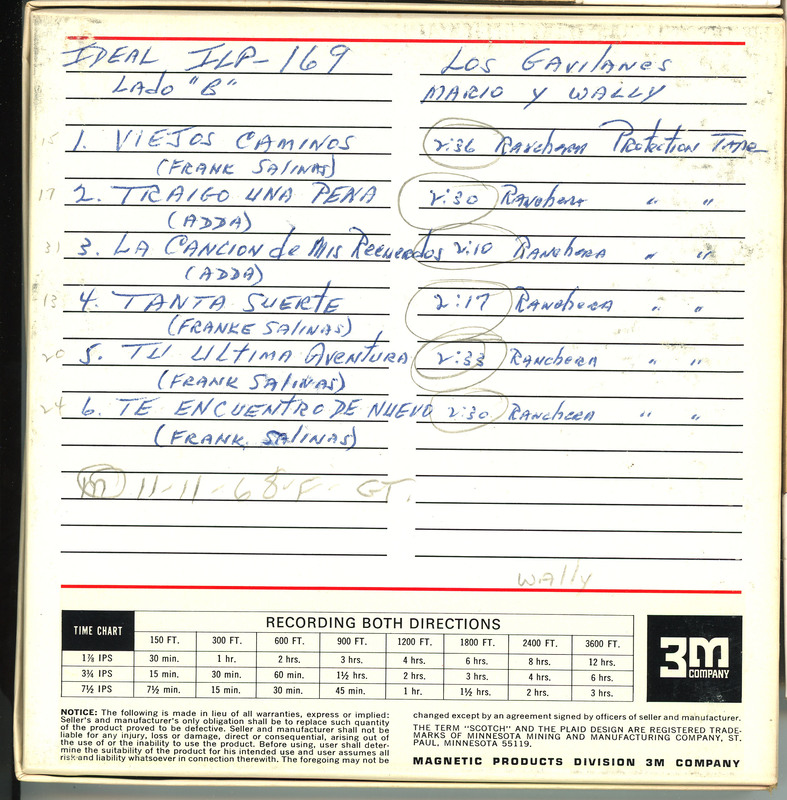 Additionally, for assigning an Ideal Release # for this cut, I combined the aforementioned Tape # (PC-ILP-169-B) with the number “3”, as this is track 3 from Side B. Handwritten date on the back of the Tape Box say “11-11-68”.